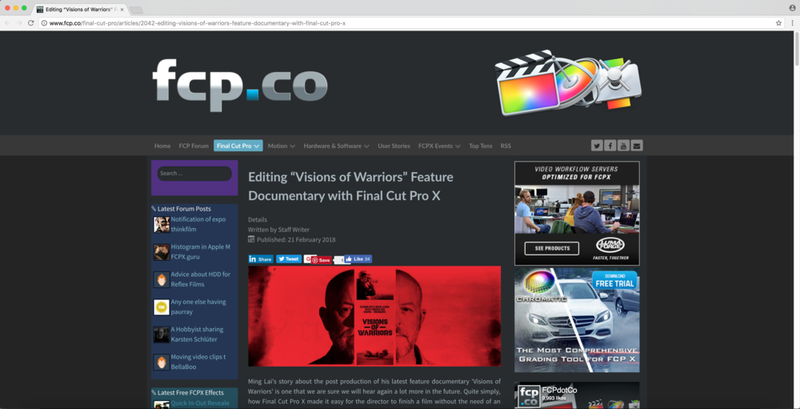 Recently, “Visions of Warriors” was featured as a User Story on FCP.Co, a great site specializing in the editing program, Final Cut Pro. This site has been an important resource to us in learning about the program, especially as it continues to evolve. We’re inspired by all of the other User Stories and are deeply honored to be included as one. Thank you to Peter Wiggins and the FCP.Co team for this wonderful opportunity.